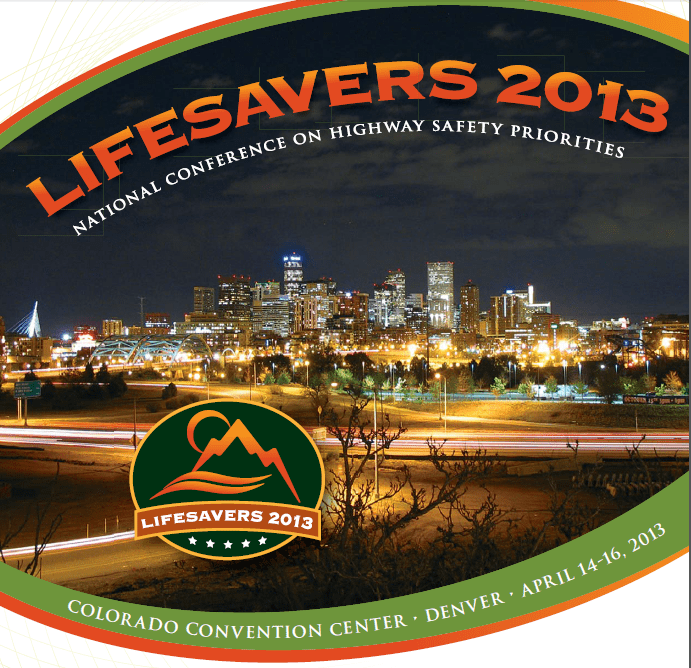 When Toyota invited me to attend the 2013 Lifesavers Conference in Denver as their guest, I knew that they would treat me well — which makes this as good a point as any in this post to insert some disclosure language: Toyota picked up the cost of conference registration, transportation, meals and lodging. I was not paid to attend and I have not received any kind of compensation or promotional consideration to write this post. I had no idea what to expect at Lifesavers — other than some sobering lessons on automotive safety (no pun intended, even though there was a lot of material to ingest on impaired driving). I am now trying to wade through pages and pages of notes I took over the three days of the conference, which need to be organized and condensed into a nice, concise round-up for my editors at AskPatty. So far, all I’ve managed to get through is the opening keynote; an emotional address by former MADD President Karolyn Nunnallee, who lost her 10-year-old daughter in a horrific school bus accident in 1988. I’ve finished that portion of the post for AskPatty, but Nunnallee’s presentation was so haunting, I am having trouble letting go. Nunnallee was the grief-stricken mother profiled in that trailer. Her daughter Patty was one of 27 people who perished in a fire that broke out on the bus after its fuel tank was ruptured by a drunk driver. Flammable seat upholstery caused the flames to spread quickly. Those who managed to escape the inferno had to squeeze through just one small emergency exit in the back of the bus. “When it comes to school buses, safety should never be an option,” Nunnallee said. Grief and anger spurred Nunnallee to join Mothers Against Drunk Driving, which has become her life’s cause. She was eventually elected President of MADD, and continues to fight for safety rules and legislation against drunk drivers. Her determination made me think of the parents of Newtown, who are now actively campaigning for gun safety legislation. I have a feeling they, too, will prevail. Air Travel is an Adventure. And Yesterday on American Airlines, It Was Torture. So glad the convention was interesting and moving. We need more moms like you to help us spread the word that most of the car crashes happening are preventable. Enjoyed reading your posts. Thanks. I think moms and automotive safety go hand in hand.